The biggest cannabis companies in Canada all sold off sharply on Monday as investors pulled money out of the sector. 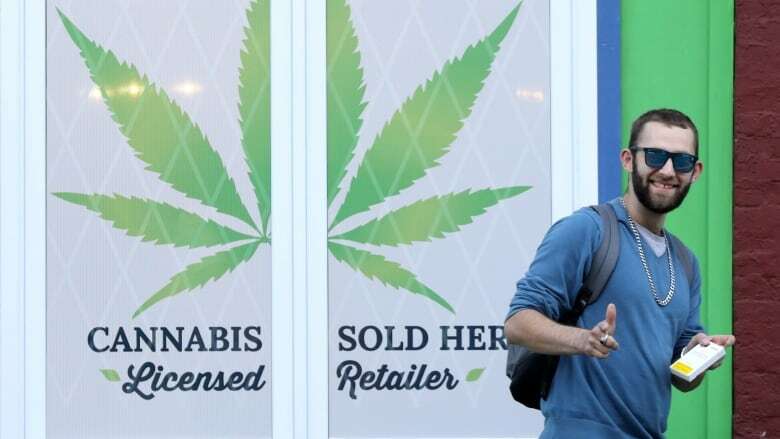 The biggest cannabis companies in Canada all sold off sharply on Monday, as investors pulled money out of the sector. 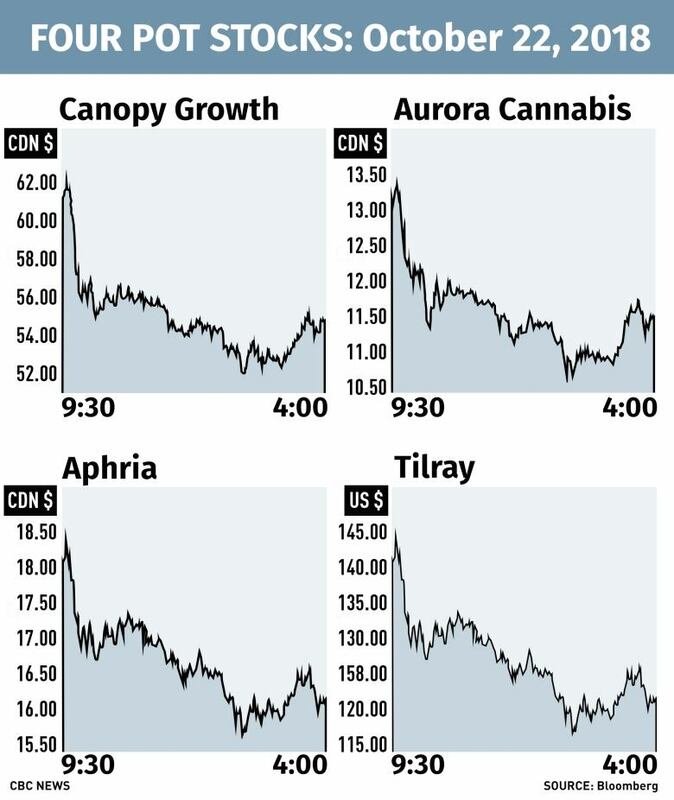 Canopy Growth, Aurora Cannabis, Aphria and Tilray are the four biggest names in the sector, and all saw double-digit percentage declines. Canopy Growth lost more than 11 per cent to close at $54.46 on the TSX, while Aurora Cannabis fared even worse, down 12 per cent to $11.42 a share. Aphria Inc. was off by more than 13 per cent to $15.77 a share, while Nasdaq-listed Tilray fared worst of all, down more than 15 per cent to $122.60 a share. Last Wednesday, recreational use of cannabis became legal in Canada, an event that investors had spent much of the past year anticipating by buying up shares in any cannabis-related companies. But even before the big day arrived last Wednesday, most of the so-called "Big 4" pot stocks were showing signs of weakness, and their volatility has seemingly only picked up since then. It likely hasn't helped the shares that the rollout of legalization has been met with shortages across the country and logistical problems keeping up with demand for the drug. But at least one analyst thinks the weakness in the stocks on Monday isn't just a blip, but rather the natural result of an overhyped sector coming back down to earth. Stuart Rolfe at Veritas Investment Research Corp. is the lone analyst who has a sell rating on the big names in the sector, and he said Monday's weakness didn't come for any particular reason. "There might be nothing to pin the selling on," he said, but on the whole, he thinks the sector is overvalued to begin with. "I learned awhile back that overvaluation is the meanest of catalysts," he said. "It never sounds like much, but sometimes it drags down stocks like a crocodile with a death grip."